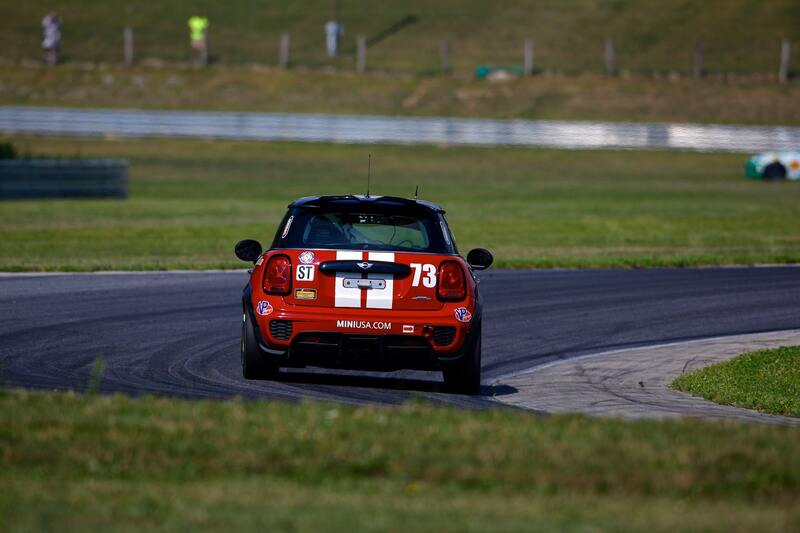 It was a busy day for the MINI JCW Team. Three practice sessions preceded qualifying for the Lime Rock Park 120. All three cars qualified within half a second of the pole sitting BMW. Colin Mullan was the top qualifier of the MINI drivers, putting in a lap of 59.625, less than a tenth of a second off the pole. It’s sure two be an exciting two hour race tomorrow, don’t miss it! Full details on how to watch are available on the events page. Qualifying results for the rest of the field can be found here.